The Greek mountain sun fades to a mellow glow in September, casting a burnished crown of light over the valleys and lakes. The sloping meadows have been turned wheaten by long months of heat and the land looks spent, worn down to a layer of pale dust. The sky thins of birds until it’s nearly silent, but I still hear the chatter of a few departing swallows and the bubbling notes of bee-eaters sounding their summer leave, sun-glints of cinnamon, lemon and teal as they streak south across the seasons. I watch them skim over the house and garden, emptying the air behind them, but as I stand there in the warm dazzle of sun I find myself thinking of somewhere else, a place where the sky will soon be awhirl with wings. 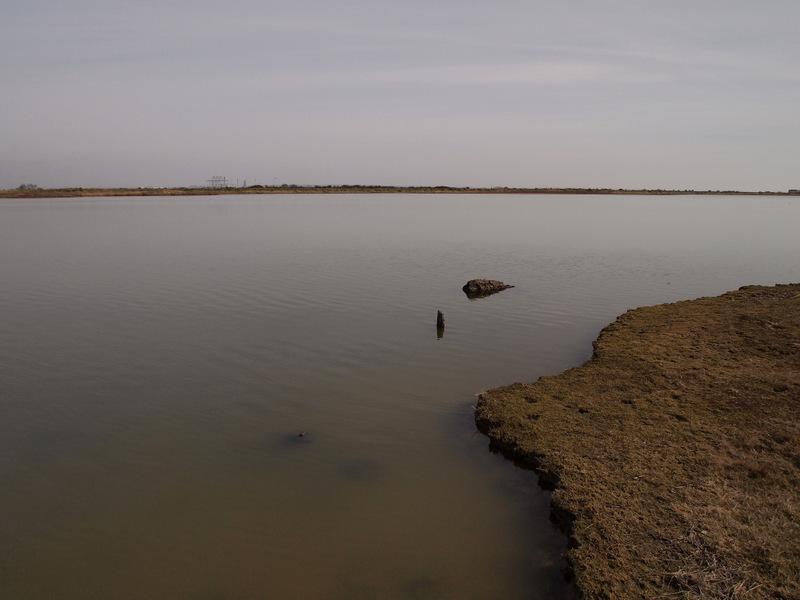 The Hoo Peninsula is a rich weave of water and land at the edge of the Thames Estuary. Only 30 miles from central London, the peninsula takes its name from a word meaning ‘spur’ in Old English, jutting, as it does, into the widening waters like the prow of a boat. 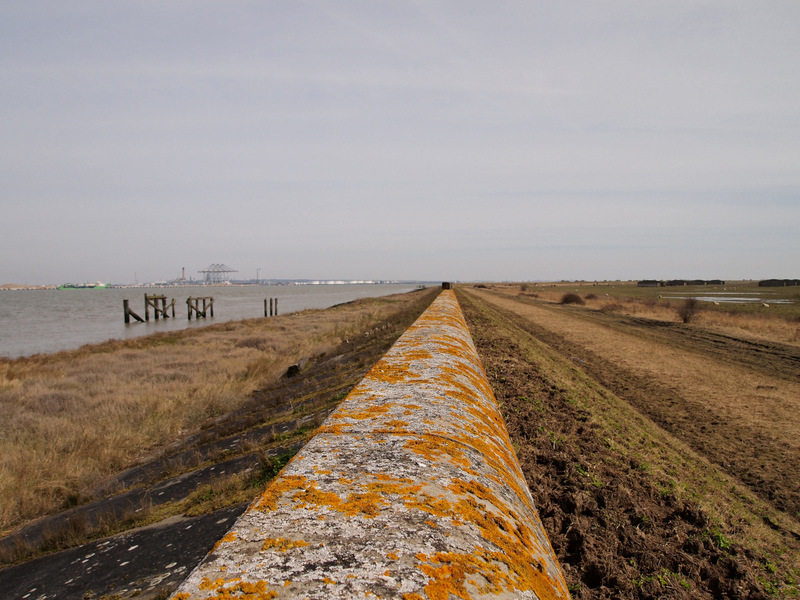 It’s bordered by two rivers, the Thames and the Medway, and has been preserved from the tides that sweep up both waterways by a seawall that protects its lowest and most vulnerable edges. 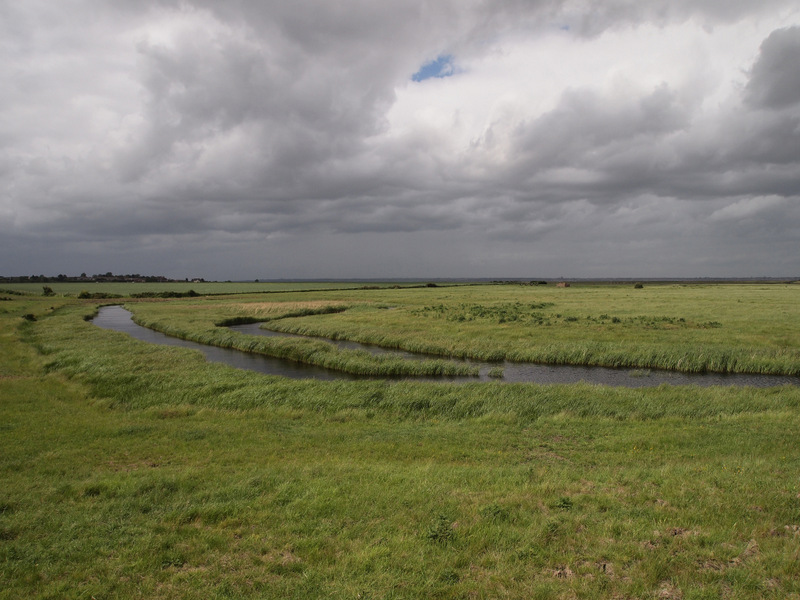 The peninsula is a mosaic of landscapes, a mingle of intertidal mudflats, grazing marsh, 13th century flint churches, pockets of woodland where nightingales still thrive, centuries-old villages, shingle beaches, dikes, creeks and lagoons. 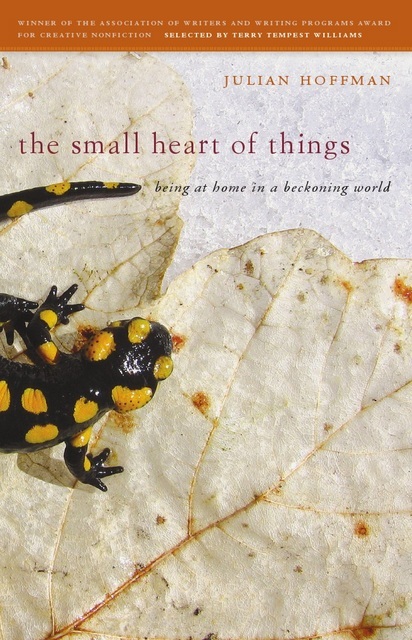 It’s a place where a set of complex habitats, both human and wild, are woven into one. But wherever you go, water is at the heart of the Hoo. It lifts boats from the river bed with the rising tide, seeps up creeks like a slowly moving cloud and fills deceptively deep hollows with quickening mud, as if the whole place were still under the jurisdiction of the sea, just like it’s always been. 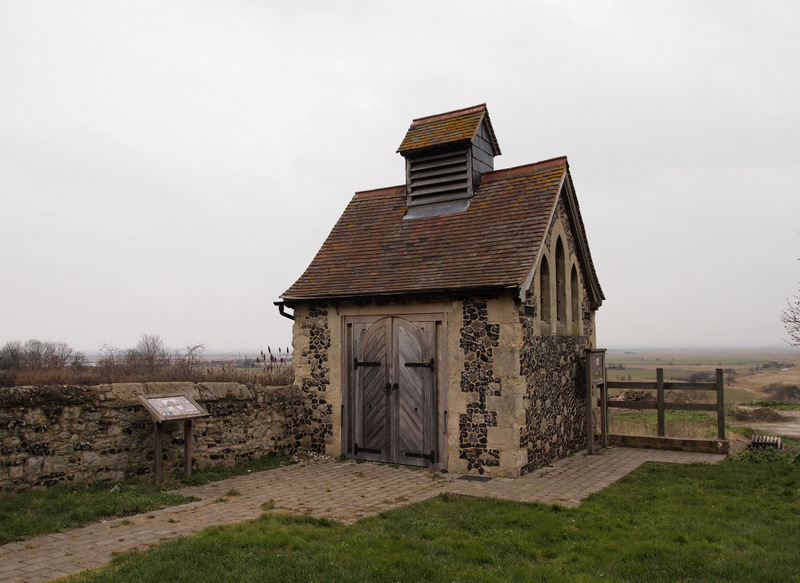 The poignant charnel house that overlooks the marshes from the churchyard of St. Helen’s in the village of Cliffe is a reminder of that long, maritime history, and the intrinsic relationship that lends this place its unique character. 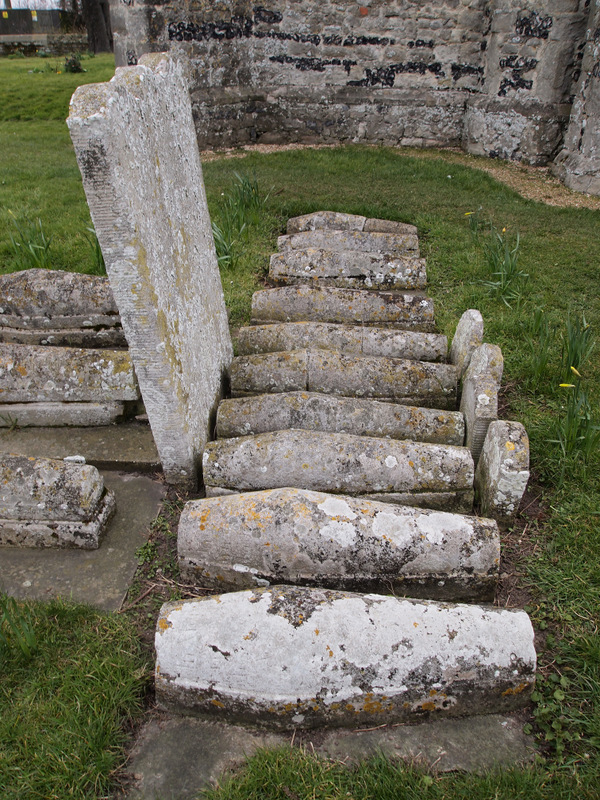 Victims of drowning were often caught up in a particular set of currents in the Thames that beached them on the rim of the peninsula; once pulled from the river, their bodies were carried across the marshes and temporarily laid to rest inside the ventilated stone building until they could be identified and buried. This watery world has long been noted for its wild edges. It’s these wild edges that have made the peninsula home to such a spectacular array of birds. Over 300,000 of them winter around the estuary, arriving in autumn from their summer grounds far to the north to feed from the extensive mudflats and salt marshes that are restocked daily by the tides. 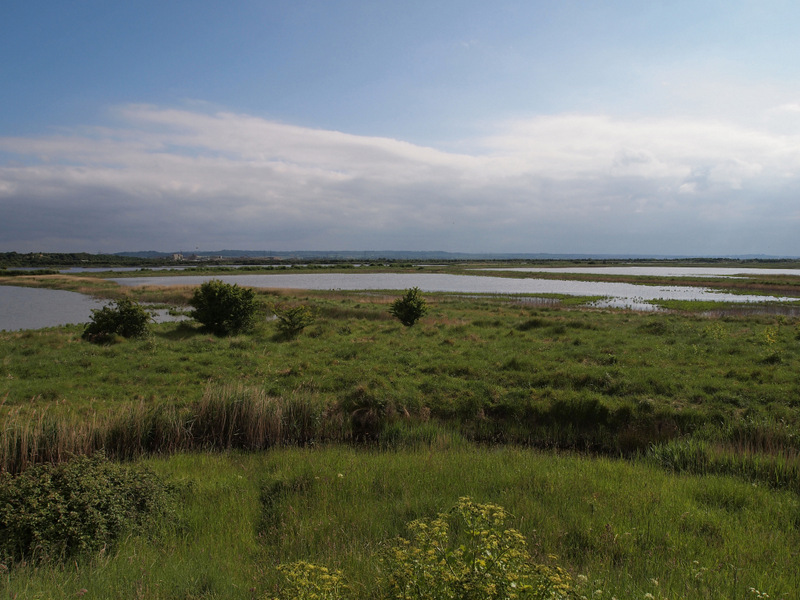 In recognition of this richness, and its significant populations of breeding species like avocets, lapwings, shelducks and oystercatchers, the area has been designated a Ramsar site, a wetland of international importance, carrying the same status as the Prespa Lakes where I live in Greece. While it’s the rare pelicans and pygmy cormorants that make Prespa so significant, the estuary is renowned for its spectacular skeins of wildfowl and waders, the aerial rafts of grey plover, knot and dunlin that twist and turn over the water like a spool of ribbon being unravelled by the wind. 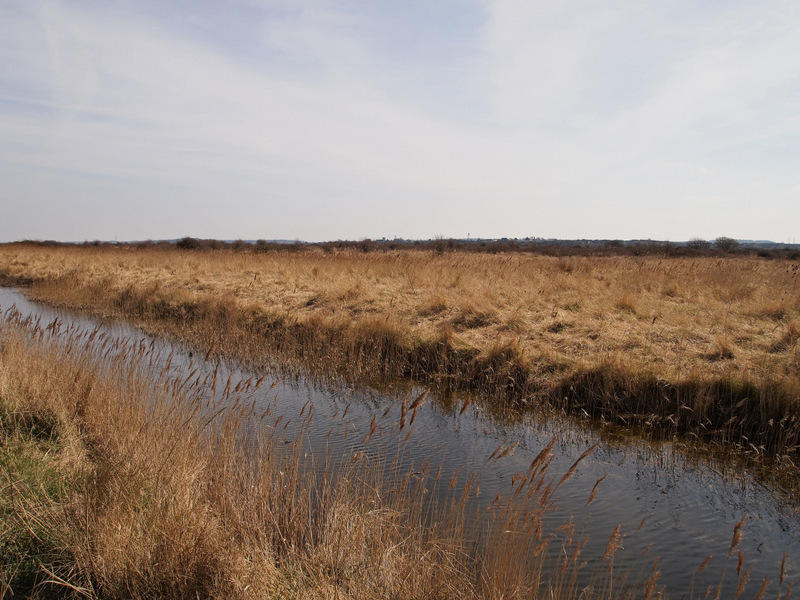 The estuary also hosts a number of scarce plants and invertebrates, Britain’s largest heronry and the RSPB’s oldest nature reserve, as well as a species that has recently been discovered to have declined by a fifth in the UK since 2011, the water vole. A map of the estuary reveals an expanse almost entirely covered by large swathes of colour, each one related to a different protective measure intended to preserve it, including Sites of Special Scientific Interest (SSSI), Special Protection Areas (SPA) and RSPB nature reserves. 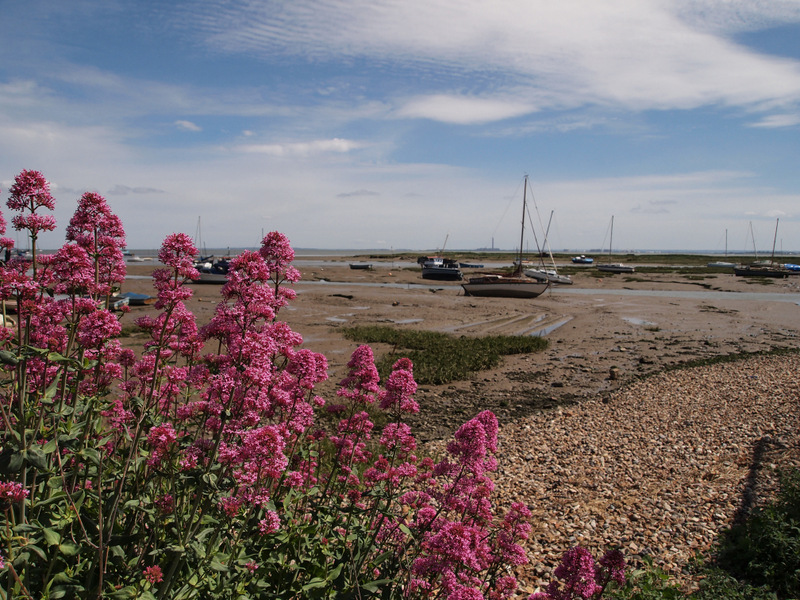 Taken together, the Hoo Peninsula has been accorded the highest level of protection shy of being designated a National Park. 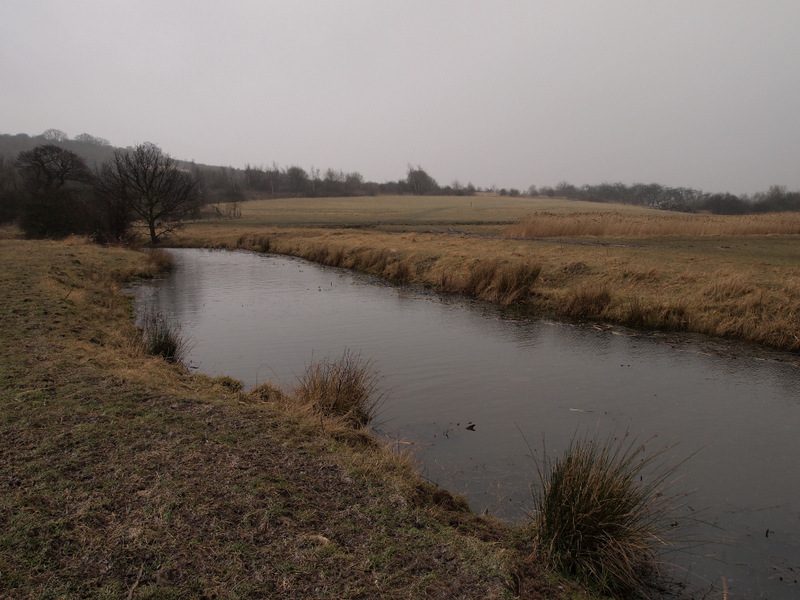 Despite this, and the unique rural character of its historic countryside and communities, the place finds itself under considerable threat. 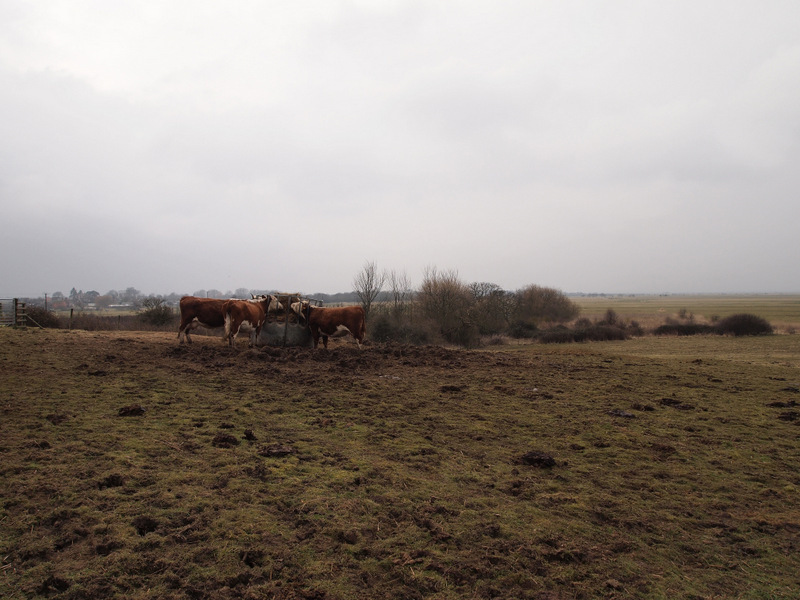 “If someone came along and said, ‘We’re going to build an airport on the New Forest’, people would be absolutely outraged.” I stood amidst slanting snow, peering out through a mire of weather as Joan Darwell did her best to speak above the whistling wind. “But they can, because this area is so little known for its importance.” We looked out over the marshes, faint in the mist. The unspoken question that hung heavy in the air was this: how meaningful are any of these protective measures anymore? As was witnessed in 2008, when Donald Trump convinced the Scottish government to ignore the SSSI designation of a rare strand of shifting sand dunes on the Aberdeenshire coast, the fifth largest sand dune system in all of Britain, so that he could build a luxury golf course in an area recognised for its unique ecological and scenic importance, protection means little without the intention to honour it, the desire to value a place for what it already is. I’d chosen Easter to travel back to England, mistakenly expecting those April days to have blossomed into spring. Instead I was welcomed by a deep winter clasp, when temperatures stayed locked beneath zero for much of my stay. 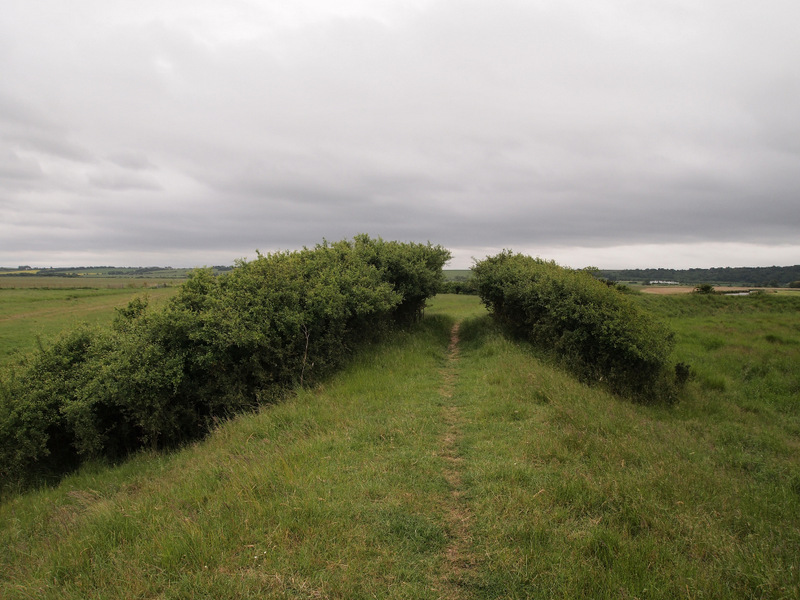 I was researching some ideas for a book, and much of my time was taken up by walking a range of landscapes in and around London while at the same time meeting and talking with people who felt a strong sense of connection and attachment to the areas where they lived. Little did I know, as I journeyed by train through a veil of snow that morning towards the Hoo Peninsula, how profound and lasting an impact the place I was heading to would end up having on me as well. Joan Darwell, Gill Moore and George Crozer are parish councillors for the Hoo Peninsula, and loyal to a place they call home. 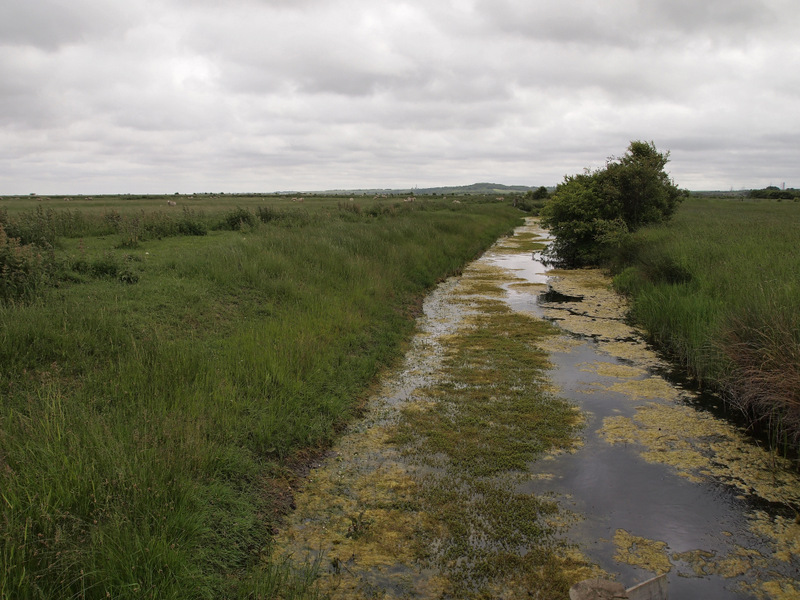 As campaigners for Friends of the North Kent Marshes, this isn’t the first time they’ve been trying to raise awareness of this remarkable and unsung part of southern England. 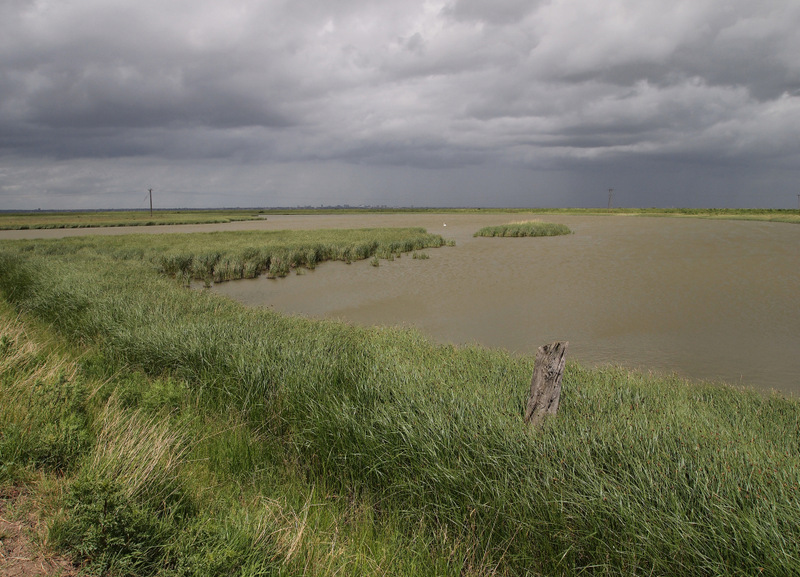 In 2002, a proposal was put forward to build an airport at Cliffe marshes where a set of large saline pools managed by the RSPB host a variety of wildlife, including the organisation’s symbol, the avocet, a species driven to extinction in Britain in the 19th century which only returned again after World War II. Although the airport plan was quashed on largely economic grounds by the Labour government in 2003, the idea of an estuary airport hasn’t gone away. In the year that the Airports Commission is looking at aviation options in the south-east of England, London’s mayor, Boris Johnson, has suggested building a floating airport in the heart of the estuary. Now he’s also backing Sir Norman Foster’s proposal to build Europe’s largest airport on the Hoo Peninsula, a four-runway hub with enough capacity for 110 million passengers per year, with the possibility of that figure rising to 150 million over time. The airport platform, which would be partially built over the intertidal mudflats and water of the Thames itself and capable of hosting 140 flight movements per hour, would be 5.2 km long and 4.5 km wide, connected to London by a six-lane motorway which would carve open the rural landscape, a high-speed rail link and a Cross Rail extension, together with the vast acres of asphalt required for cargo facilities, car parking, aircraft and maintenance hangers and the inevitable infrastructure that springs up in their vicinity – an Airport City as it’s referred to in the plan – including housing, shops, offices and hotels. In order for a hub airport to be viable, Heathrow, already Europe’s busiest airport in terms of passenger numbers and its third busiest for flight numbers, would be closed and redeveloped. According to the Foster + Partners’ proposal, Heathrow would be turned into a mixed housing and commercial zone to “rival London Docklands,” making the communities already dependent on Heathrow redundant in the process; in essence, then, the plan would be to shut down an operational airport near London in order to build another airport on some of the last open green space anywhere near the city. Like nearly everywhere in modern Britain, the Hoo Peninsula is far from untouched; it’s a region with a long history of human use. 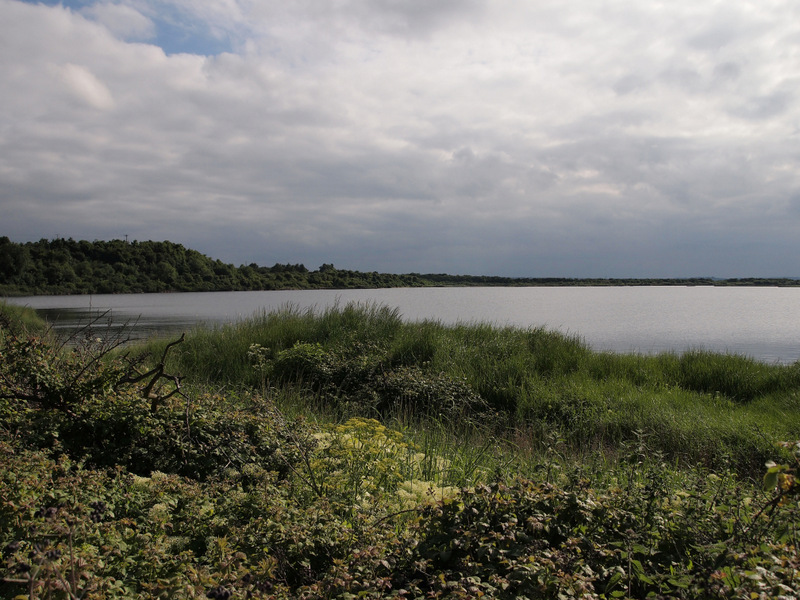 The lagoons arose out of Victorian quarrying; power stations and gas terminals anchor one end of the spur; the ruins of a 19th century defensive fort and World War II munitions testing zone are still visible. Yet each of these exists within the scale of the peninsula; the place absorbs them into its whole. 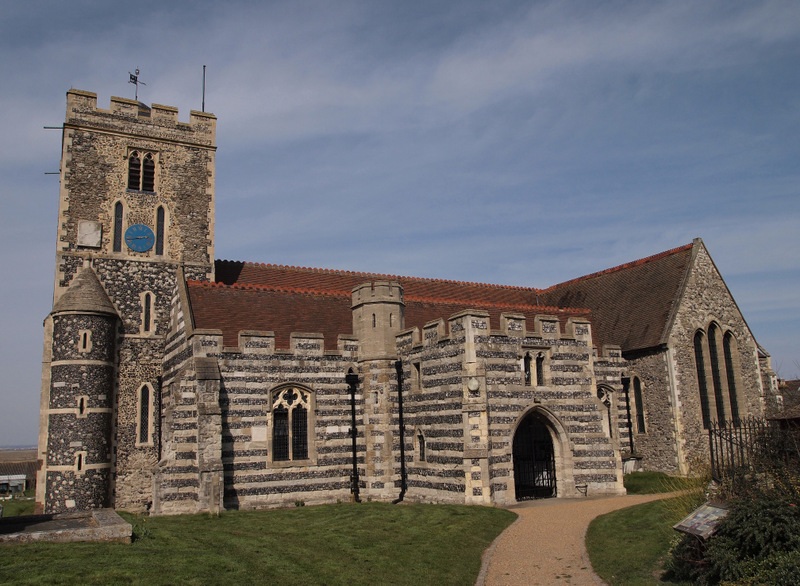 Walking out from the villages is to enter an emerald land of grazing marshes used by farmers for cattle and sheep; along the spine of the peninsula stand the stone clock towers of rural churches. Gill was keen to show me the church at Cooling that morning, and in particular a set of small gravestones in the churchyard. “We want to preserve the Dickens landscape as well,” she said as we walked through the churchyard. 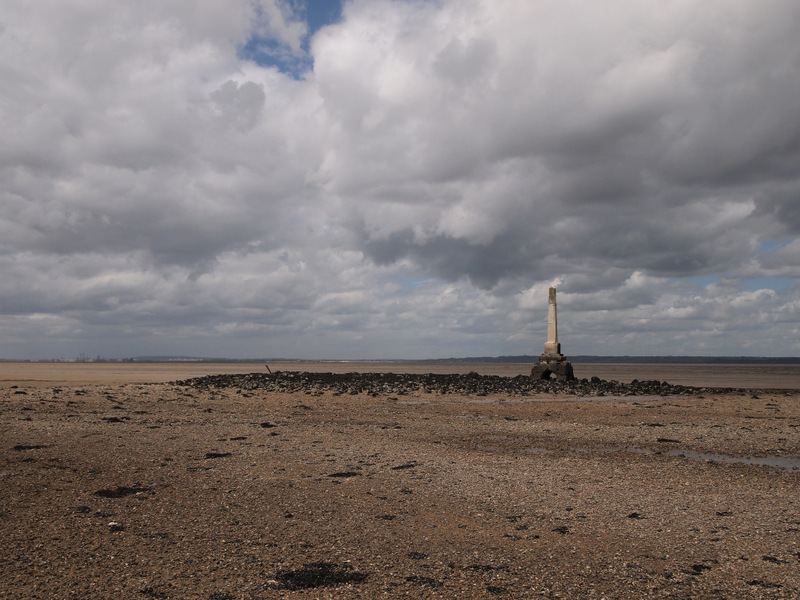 The Hoo Peninsula is at the heart of Charles Dickens’ Great Expectations, the setting for many of its scenes. It’s the landscape that the author himself often walked, living, as he did, in nearby Gad’s Hill towards the end of his life. And from the churchyard where I looked at a bundle of poignantly small grave markers, Dickens took his inspiration for the “little stone lozenges, each about a foot and a half long” which marked the graves of the orphan Pip’s “five little brothers,” nestled together beside those of his mother and father. 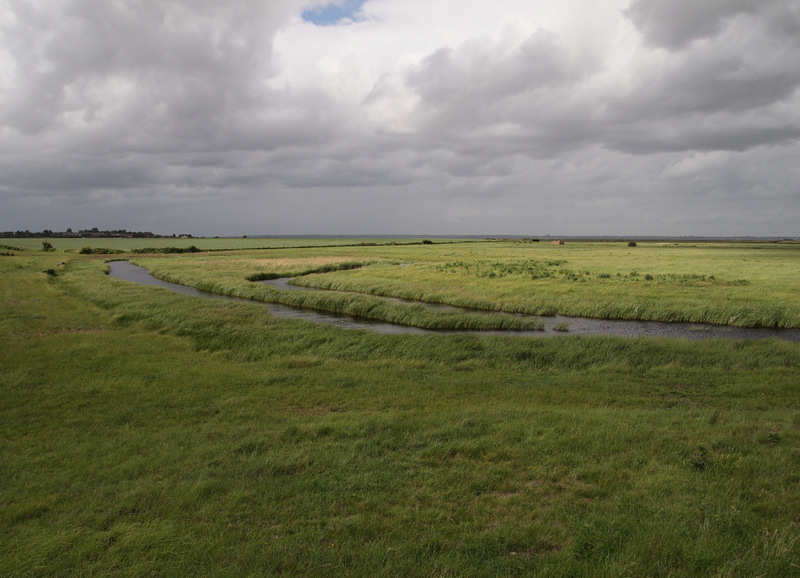 And it was the very landscape, the flat expanse of marshland veined with creeks and dikes at the edge of the Thames, where Pip would encounter Abel Magwitch, who’d escaped from one of the prison hulks that were anchored in Victorian times at Egypt Bay where the marshes join the river, a meeting which radically alters the course of the young boy’s life, one of the most celebrated characters in British fiction. Other literary landscapes in Britain, like the area of Haworth where the Bronte sisters lived, wrote and took inspiration from, are seen as nearly sacred, but it seems that this one, for the most part, has been largely forgotten. Walking away from the church, Gill said, “What kind of world are we going to leave to our children and grandchildren in the future? We can’t destroy absolutely everything.” Quotes can never quite conjure the passion of a person’s voice, but as I braced myself against a lancing wind that morning while looking across the misted expanse with Gill, Joan and George, their commitment to this place, this home of theirs and habitat for immeasurable wild creatures, was both immediate and inspiring. There was a warmth in their voices that was absent from the day. 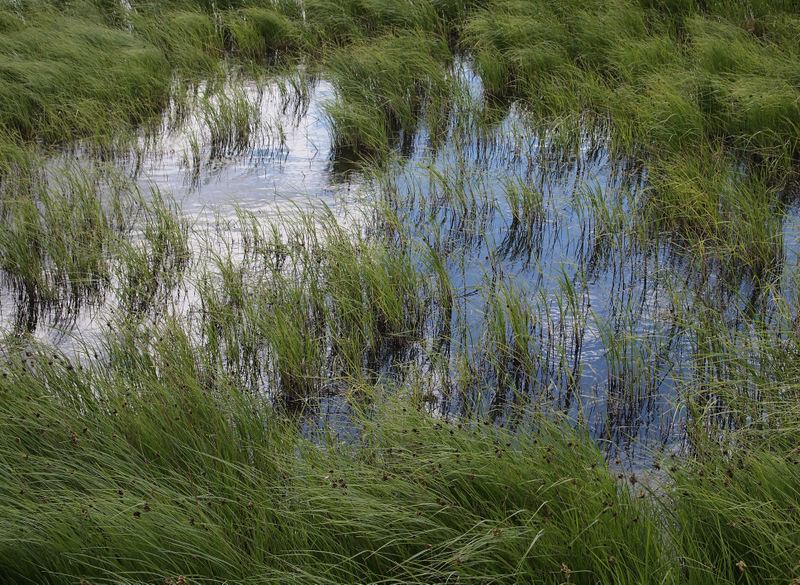 It’s exhilarating out on the marshes, within earshot of the rising river. 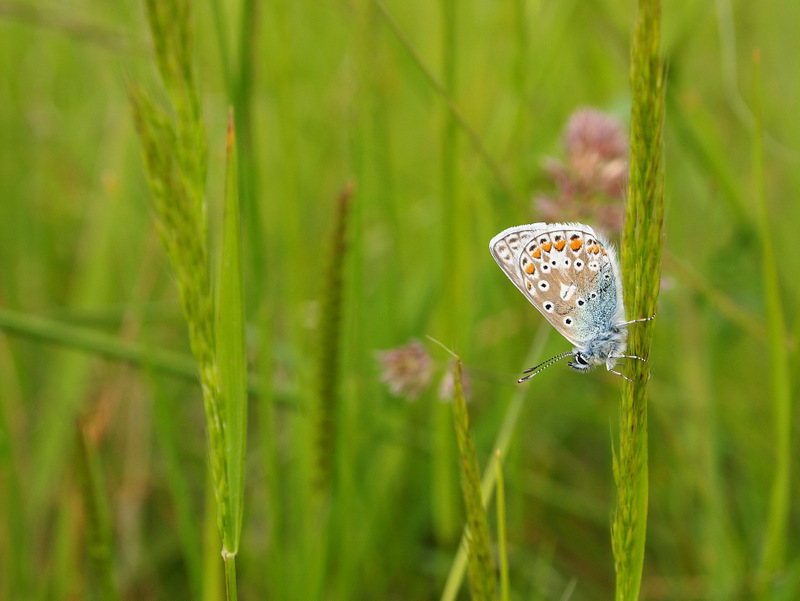 A few months later I watched summer breeders circle and sheer across the meadows, flushing from sandy scrapes or lifting like wind-shivered flags from deep in the grasses. Avocets, redshanks and lapwings marked their nesting territories with a chorus of pulsing songs. The wild estuary light continually shifted, filtered through salt air and sea-funnelled clouds, so that the mood of any moment could twist and turn, sinuous as the river itself. The wind poured in from the north or rode up the Thames on the tide, like the centuries-worth of ships that have followed its promised course. 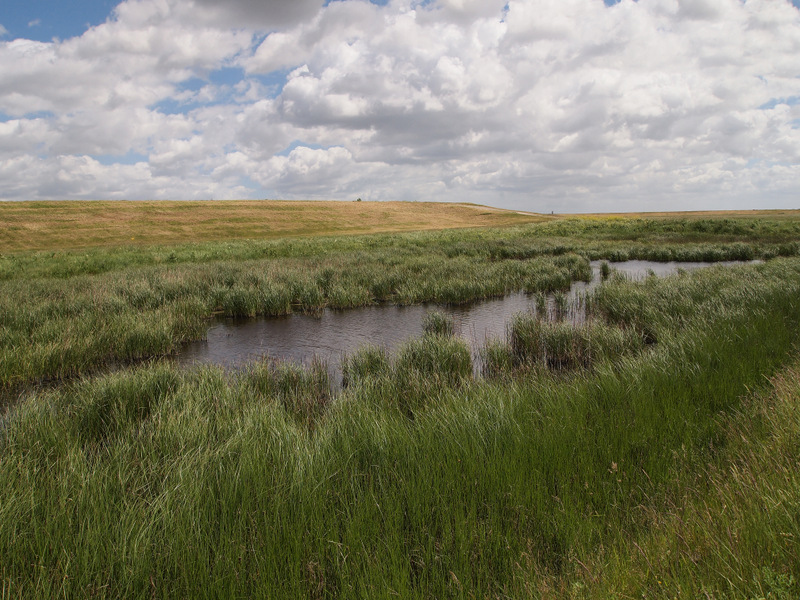 On other days, when the sun burned like a hot coin in the saddle of the sky, the marsh grasses danced with a hazy shimmer, rolling towards the river, an English prairie slanting to the sea. 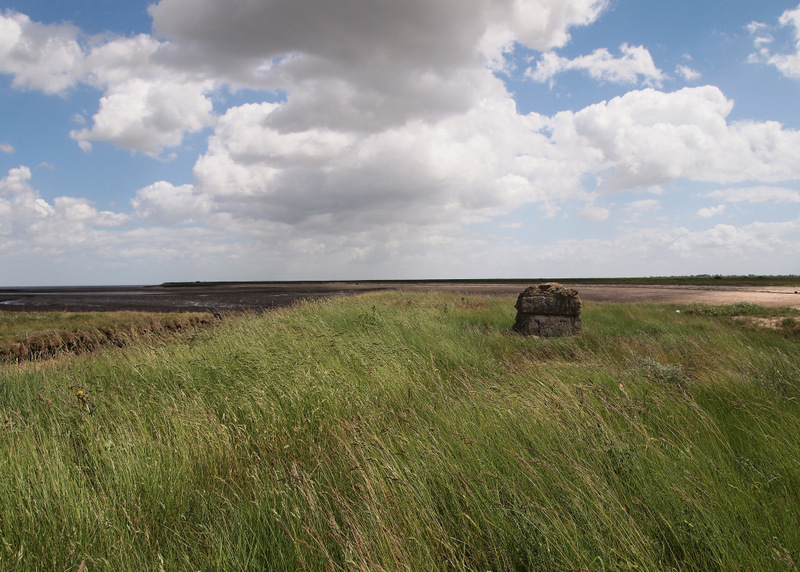 These wide open spaces lend the peninsula its particular and unique appeal – the way the sky over the estuary seems uncommonly deep, the way the drawl of a tugboat’s horn or the call of curlews as they arch overhead are gathered up by the air and held there for longer than usual, so that the sound sifts down as slow as snow. Brought together, these expanses encourage a corresponding openness within; they leave space for weather and light, all the tangible atmospheres of our living, breathing world. To be out there on the peninsula, at the edge of the spangled sea, can be as liberating as it gets in a landscape. Their proposal would have us believe that the plan is brave and courageous, radical in its scope. Yet little has changed since the Victorian age they evoke; our approach to economic growth has long been premised on extraction and building, to level and reshape on a vast scale in order to spur and stimulate economic activity. Whether skyscrapers, motorways or airports, large-scale building is the status quo, and has been since the dawn of the industrial age. Foster + Partners’ plan merely follows a well-trodden route, breaking ground with old ideas. Foster + Partners insist their plan is a way to “safeguard future generations,” but the obvious question in reply is what will be safeguarded for them? Given the increasing ease with which global firms feel they have the right to propose the development of unique and protected landscapes, what of the world will be left for those future generations to cherish other than a “competitive edge?” Those Victorian forebears of ours that Foster + Partners extol were equally well known for their enthusiasm for empire, and perhaps that is a more accurate comparison: a sense of rightful dominion over local communities, landscapes and wildlife. In a week that the IPCC, the UN’s climate panel, released its most comprehensive findings to date, stating that “unequivocal” global warming “threatens our planet, our only home,” a proposal to build Europe’s largest airport seems less about safeguarding future generations than it does economic opportunity. I had only ever planned on spending a single day on the peninsula, but sometimes a place finds its way unexpectedly inside you, holding fast to some ineffable interior so that it leads you back again and again. Like a magnet, a compass. Two days after shivering amidst snow at the edge of the marshes I returned to the peninsula in the company of a friend and her son. 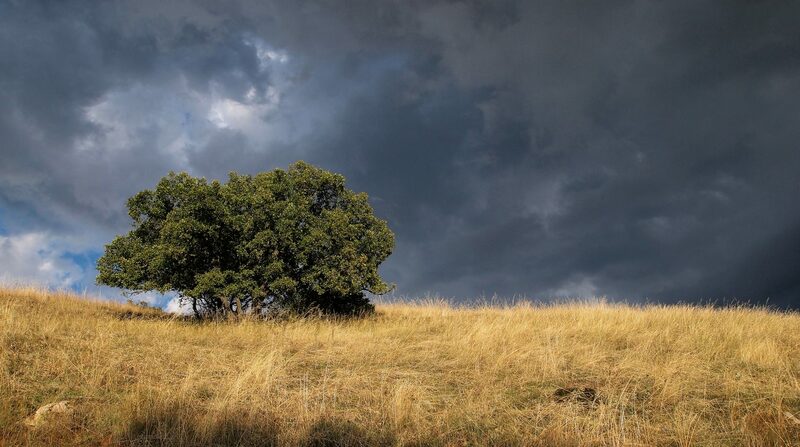 We walked our way into spring that day, the first of my stay when sunlight eclipsed the clouds, bringing a hesitant warmth to the land that summoned the first movements and murmurs of insects. We followed the seawall from the lagoons at Cliffe towards the river, the marshes to the right of us, speckled with cows, sheep and lambs. A corn bunting trilled from the tangled tip of blackberry canes and a marsh harrier courted the sudden warmth, wavering over a slim pocket of reeds, tipping its wings from side to side like a seesaw being ridden slowly by kids. Skylarks rose up to rain song from the deep blue, a shower of bright notes. Birds such as the skylark and corn bunting are in steep decline across much of the UK these days and yet there, only 30 miles from central London, on a peninsula that could fill with mechanical flight, the sky was dense with songs once common throughout the country. Those songs stayed with me until I returned again in early summer, unable to stay away. This time I spent a few days in the marsh country, and I encountered richness wherever I went, each step bringing some new quality of the peninsula into focus. But with it came a simultaneous disquiet, the knowledge of its fragility. Shifting estuary light spilled across the grazing marshes where the terminal buildings would loom. Little egrets swept across a shingle shore like a sudden squall of snow in the place aircraft would descend. And the London Stone stood sentinel and mysterious at the edge of the sea, marking a spot first measured out by the charter of King Edward I in 1285, a place that would become memorial, buried by runways built out into the river. All that I walked across would be gone, either physically destroyed or irreversibly lessened to such a degree by the constant noise of a 24-hour airport and its attendant industries and infrastructure that it would amount to the same thing: the complete obliteration of a place and its communities. As I walked through rain and wind those days, through spectral sea-light splashed across the emerald grasses, I remembered the words of Gill from the morning I first met her, “We are custodians of the world, that’s all.” And then I remembered something else: the way that she said a place is in here as she tapped at her heart. From where I stood at the edge of the river, looking back to the villages that have lived beside the marshes for centuries, I struggled to fathom the sheer scale of it all. Not of the airport, but of the blindness, vanity and loss. For more information about Friends of the North Kent Marshes, or to get involved with their campaign to stop an estuary airport, you can visit their website, or find them on Facebook and Twitter. Although the Davies Airport Commission, which will select a shortlist from the various airport proposals in late 2013, has just closed to comments from the general public, I understand that messages posted through this RSPB online email petition will still be sent. I will be talking about the Hoo Peninsula on November 10th at this year’s Shorelines: Literature of the Sea Festival in Leigh-on-Sea, near Southend in Essex. There’s a terrific line-up of writers and artists looking at aspects of the sea over the weekend and I’ll be speaking in a session devoted to the Thames Estuary together with Rachel Lichtenstein, Robert Macfarlane, Ken Worpole and Jules Pretty. Directly across the river from the Hoo Peninsula, Leigh-on-Sea is a wonderfully atmospheric place to hear these writers (and I’m looking forward as much to being in the audience as to speaking!) so do come along if you’re around. For further information please see the festival programme. 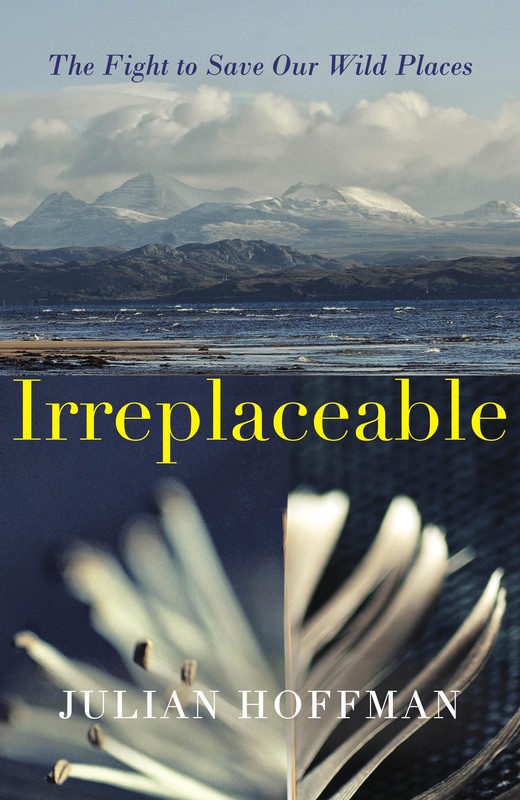 Wonderful piece Julian – such an important area and so ignored. I have only been once to the Cliffe Marshes and realized there was a lot more to go back for. I think the body in a suitcase happened not long after – a bit offputting! This whole estuary airport saga is ridiculous and disheartening. Look forward to hearing you talk and agree about the excellent company. Just fantastic Julian.Savored every word and was transported to this unique,wild-edged mosaic of landscapes. Your photographs reveal something quite magical in the water bound flatness of it all and even the name seems to distill some essential essence of bird calls into three letters. The hubris of attempting to transplant an airport into this setting is staggering and the comment about ‘safeguarding future generations’ shows how language can be manipulated to mean the exact opposite. A thriving ecology and human settlements of scale traded for cheap flights and ‘growth’ which actually means unsustainable consumption of the planet’s ever diminishing resources. Really glad to have learned about this Julian. Thank you. Great post. So much could be lost in return for hollow transport gestures. A wonderfully evocative post, Julian. I hope awareness of this issue can be raised. It’s the same old story. I wonder how these “innovative” “modern” architects could be “incentivised” to make redeveloping redundant brown-field sites the whizzy new trend instead? But, of course, I suspect the logic is in part that the airport will look more beautiful if it’s set in beautiful scenery. On a much smaller, but no less significant scale, Boris and his chums at Thames Water want to bulldoze my local park on the Thames even though 11,000 residents have objected (apparently our petition counted as 1 single response during the consultation), and despite the fact that there is a vacant brown-filed option right next door as well. It all seems so mind-numbingly blinkered with immediate business gain cynically spun into vacuously grand claims of ‘safeguarding future generations’, etc. No Thames estuary airport ever! Really enjoyed this piece and it managed to make me care for a place I have never even visited. As a fan of Dickens and Great Expectations it never even occurred to me that this area was not considered as equally important as other literary landscapes of which there would be national outrage if threatened by similar proposals. I also agree that the language used to justify basically making unsustainable profit at the expense of community, landscape and wildlife is highly objectionable. Can’t believe it’s taken me so long to read this Julian. It’s such a powerful post and I feel filled with grief at the prospect of all that destruction. Sometimes it just feels too much to bear. Such beautiful writing as always. I hope this moving and sensible piece gets those who have the power and authority to stop the madness. It cannot fail to touch them where it counts. Such elegiac luminosity Sid; just like the glittering beauty of the land you descibe..And once again (i’ve said it before),the images accompany rather than illustrate, the text. I love the converging hedges and the lichen encrusted sea wall..Thanks! Just wanted to say how much I enjoyed this, I have a friend who considers Cliffe Pools to be his birding patch – he’s a mad RSPB-ite – and visited it a few years ago. I am inspired to see more of the peninsula now after reading your piece. I thoroughly appreciate your gentle dismantling of the airport scam, it would be a tragedy, not merely because those who are prospecting for it fail to understand the importance of the place. I am strongly of the opinion that it will not happen, however.